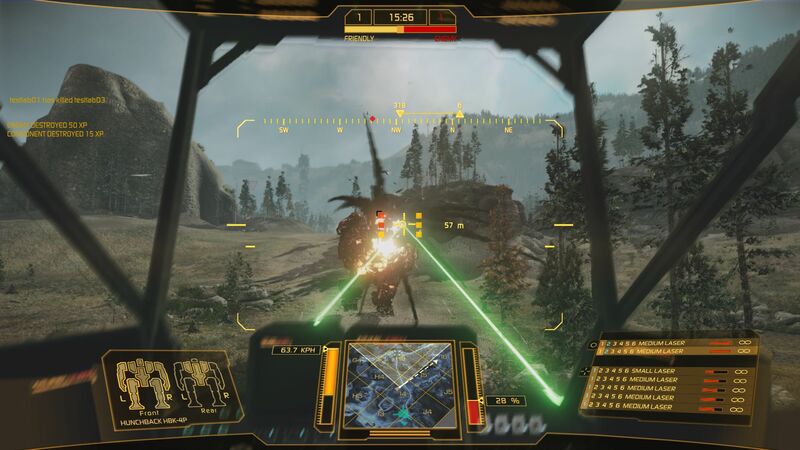 MechWarrior Online puts MechWarriors into a first-person, team-based, tactical battlefield where the victors swim in the spoils of war and are rewarded with the almighty C-Bill (in-game currency). Each team has 8 players and the two teams are pitted in combat in an enclosed battlefield. Communication is key, be it in-game chat, integrated C3, or a third party VOIP solution, keeping in constant communication with your teammates will drastically increase your team’s chances of success. The various weight classes of BattleMechs help create their own evolving roles on the battlefield. Fast moving scouts can feed target and tactical information back to the main battle group and the team commander. This information allows the support and assault role pilots to decide where to put their resources to work. Long-range fire support and heavy hitting assault class Mechs will use this invaluable information to finish the job at hand. 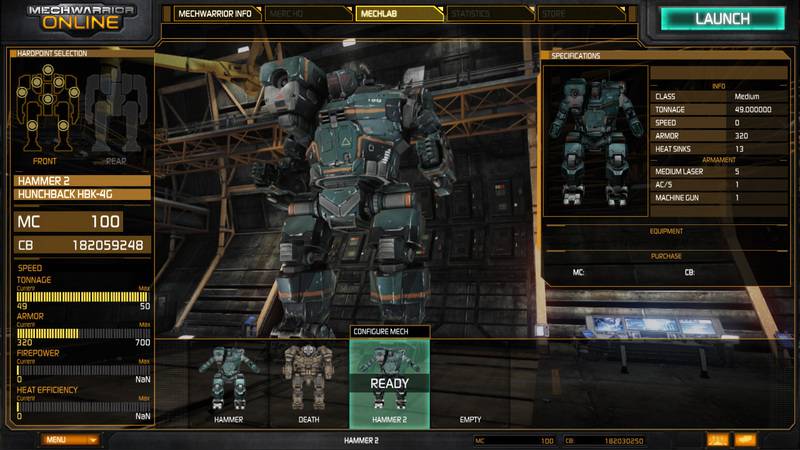 It is up to you, the pilot, to customize your BattleMech’s loadout and electronic systems to fulfill the role you want to take. The Open Beta for the game started on October 29, 2012. 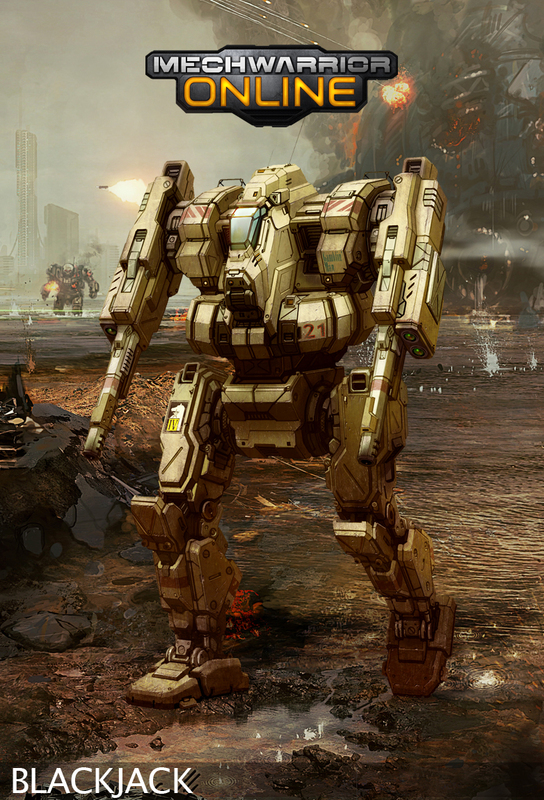 March is here, and with it a host of new features for MechWarrior Online. Our focus this month is improving the new user experience by adding a suite of tips, better details, testing grounds, and user friendly control options. Experienced MechWarriors will also be able to enjoy content designed specifically for them, including a brand new system of consumables, expanded statistics, and a new map! This offline game mode allows player to launch into a random map and test out there currently selected BattleMechs. Each Testing Grounds match has 8 non-interactive `Mech targets for players to shoot and test damage, heat, movement and other strategies. This is just the beginning of a large set of training options for new and experienced players coming online in the next few months. An extension to the module system is being introduced on March 19th. Players will now be able to equip a variety of consumable module items. Upon release players will have access to Coolant Flush, Air Strikes, and Artillery Strikes. These new items will be available for C-Bill and MC purchase. Details will be forthcoming in an upcoming Command Chair post here http://www.mwomercs.com/forums/forum/102-command-chair/. MechWarrior Online’s largest map yet! 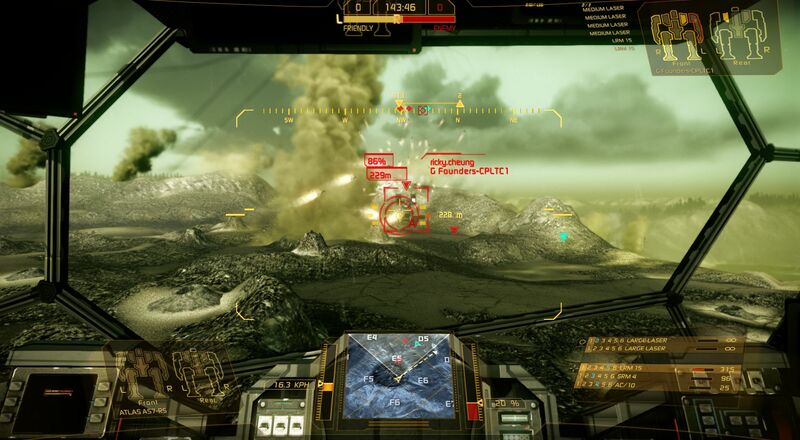 This hostile alien world will test the skills of the best MechWarrior pilots. 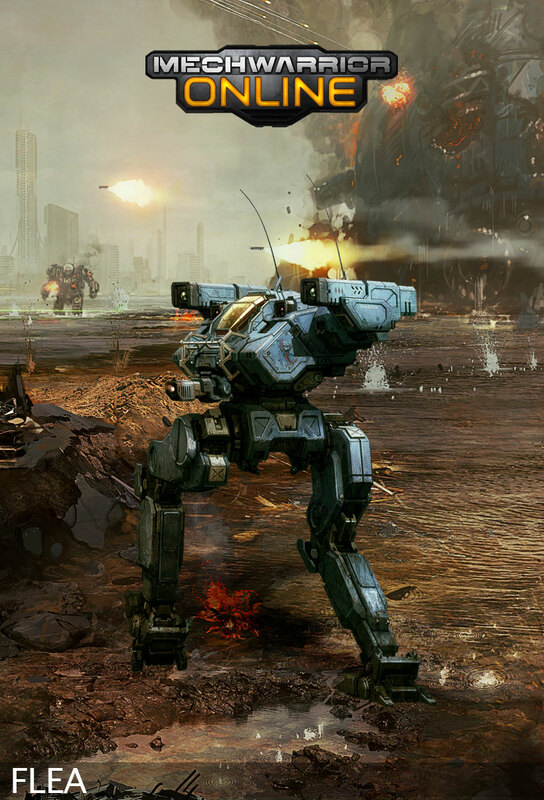 Like Alpine Peaks, players will need to change their overall strategies, focusing on offense and defense, along with bringing in a balanced BattleMech build. Players will now be able to see a much more robust set of player stats when visiting their personal http://www.mwomercs.com/profile/stats page. Detailed information about Mechs, Weapons, Maps, and Modes will give players a deeper understanding of how well they are doing. For now, these stats are only viewable by individual players. In future updates players will be able to see other player’s stats and leaderboards. Players will now have more options with regards to how they pilot their BattleMechs. Several new control systems and improvement have been added including Throttle Decay (gas pedal vs set throttle), Arm Lock to torso, Set Point Throttle (10-100% throttle values in 10% increments), Face Torso, and Joystick Analog turning. Player will also be able to customize their key bindings via the Pause Menu during matches. Further refinements to buying and selling `Mechs, readying `Mechs, and a visualization of hardpoints, weapons, and critical space directly on the `Mech itself, will make their appearance March 5th. These additions make a huge improvement to understanding the state of your BattleMech, along with helping understand the differences between variants when making a purchasing decision. After a hugely successful Be A Hero Challenge weekend, we’ve decided to add more events to our March schedule. Expect to see a variety of different challenges inspired by the community’s feedback! Also coming in March, Design a Trial Mech challenge. Players will be able to design a Heavy Trial Mech build based off one of the existing heavy `Mech chassis. The wining loadout, will be made available for uses as a Trial Mech throughout the month of April. On March 5th Host State Rewind (HSR) goes live. This new system allows players with high latency pings to fire and hit more reliably using Lasers, Machine Guns, and Flamers. Often referred to as the lag shield effect, HSR will significantly improve the reliability and accuracy of weapon hit detection, making certain BattleMechs much easier to hit. We anticipate overall damage will increase, resulting in some possible upcoming weapon balancing changes if needed. 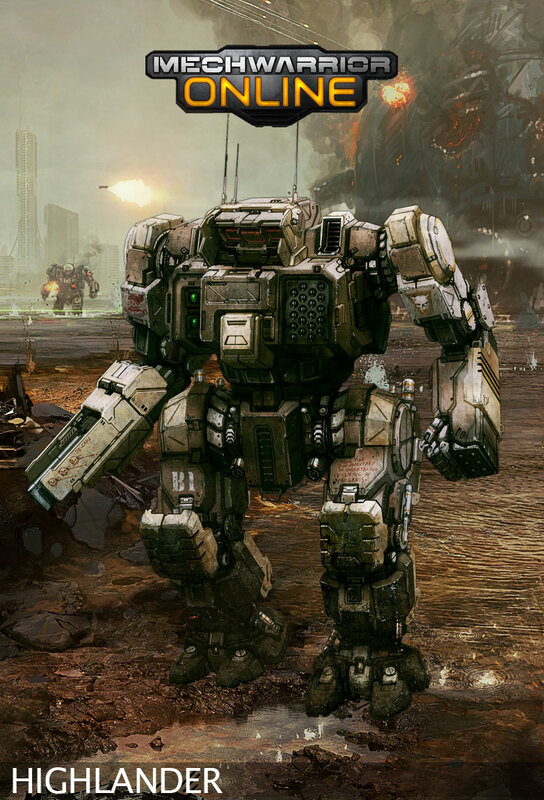 Free-to-play mega-machine simulator MechWarrior Online will exit beta and launch by late summer. The game is currently playable in open beta. Asked to narrow down that launch window a little more, Russ Bullock, president of developer Piranha Games, noted it'll be "no later than" September 21 (the official close of summer). The launch of the full game will be on September 17, with the release of patch 1.0. This comes after being in open beta for over a year.